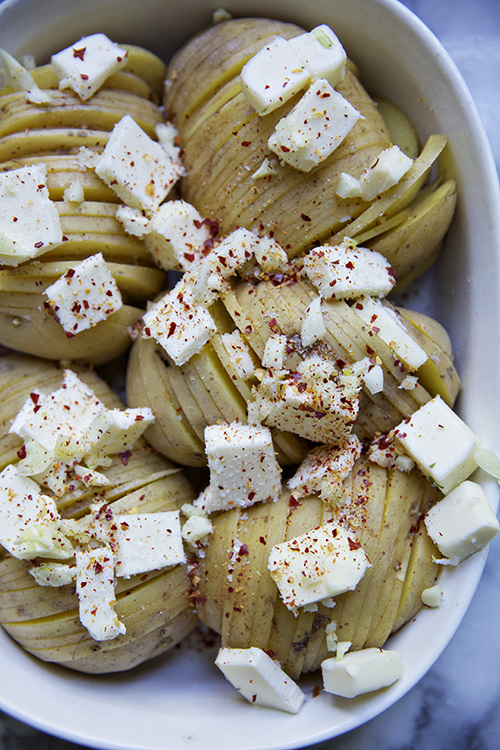 Have you had Hasselback potatoes before? 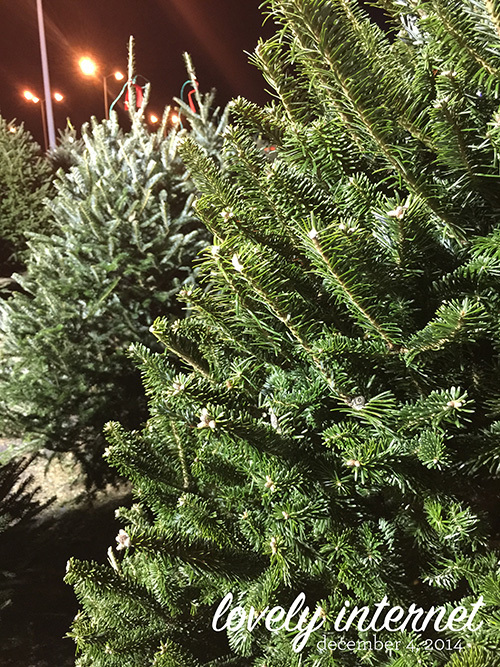 For the past few years I’ve seen them all over my pinterest throughout the holiday season, and I was curious. 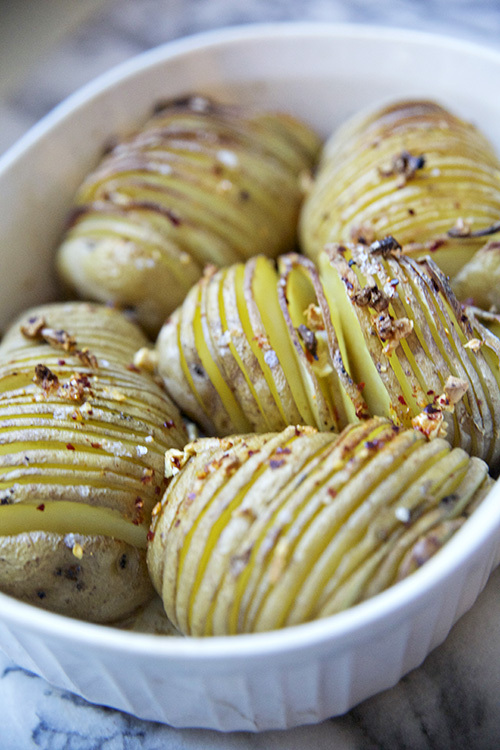 I mean, there isn’t much better than a baked potato, and the prospect of getting the butter inside the potato as you bake it was irresistible. If I were to choose my two favorite ingredients in the kitchen they would be salted butter and red pepper flakes. So simple, but both add a depth and complexity of flavor. 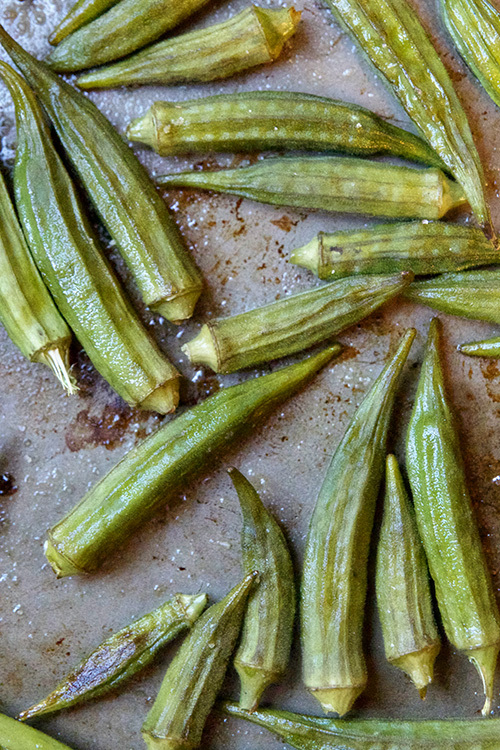 I use them in everything from roasted turkey to grits, and they’ve become a staple in my pantry. On potatoes, there’s nothing better (unless the potatoes are mashed, and then, mayonnaise). 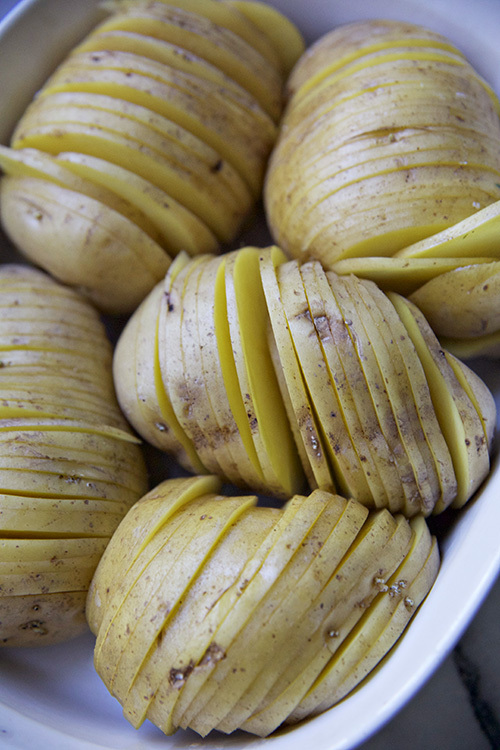 Wash the potatoes and slice, short ways, from the top down, stopping just short of the skin. The potatoes should stay attached in one piece held together by the bottom skin. Top with cubed butter, spices, and minced garlic. Roast for 30 minutes, and then brush with olive oil. Roast an additional 30 minutes. Serve hot. 1. I am guilty of helping to create the email monster, but I hate him. 2. I have finally crossed over and can now enjoy sipping brown liquor and brown liquor cocktails. I’m thinking infused bourbon is the logical next step in my journey. 3. It’s encouraging to hear that divorce rates are on the decline, especially for people of my generation. 5. The obsession with the most wasteful form of getting your morning jolt. 6. I love this series. 7. I used to sit on the beach with my grandma, Bobbie, and listen as she made up stories about strangers. 9. These hand pies were delicious. 10. Capt’n Pappie’s videos are getting pretty great. Have you recovered from your holiday weekend yet? I’m not sure I have! We got home last night from a round trip to Philadelphia and while it was a great visit with family and friends, I’m wiped. Thanksgiving this year came on the heels of two back to back trips- me in New York and Dan in San Francisco, which means we’ve been on the road and eating way too much takeout. This week I’m looking forward to a bit of time spent at home, vegetables, and snuggling my husband and dogs. Heat oven to 400F. 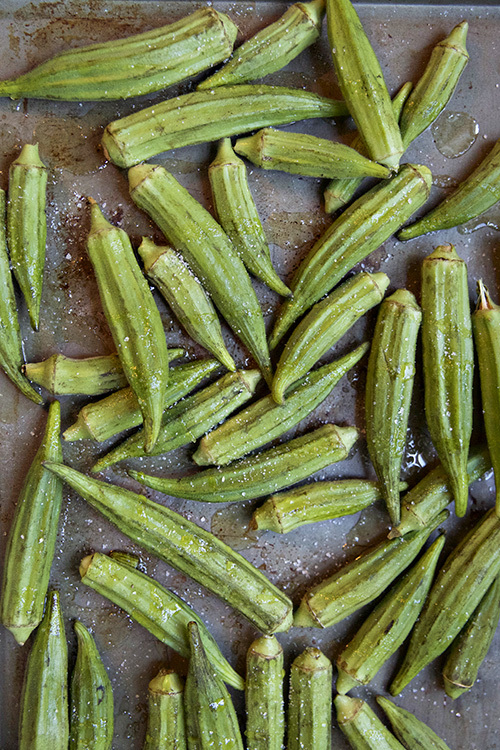 Toss okra in olive oil and sea salt. Roast for 10-12 minutes, or until crisp. Eat hot!